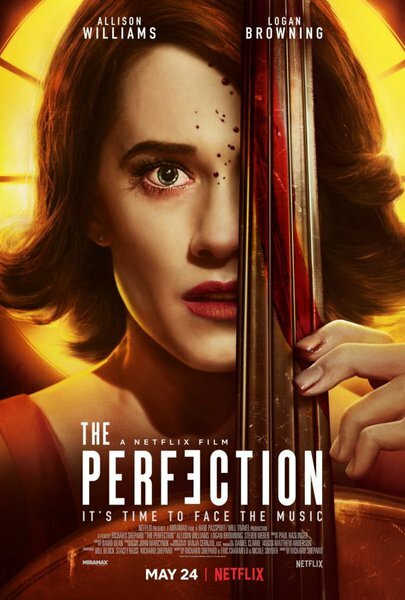 THE PERFECTION is directed by Richard Shepard (THE MATADOR, DOM HEMINGWAY, Girls), and written by Eric C. Charmelo, Nicole Snyder and Richard Shepard. Bill Block, Stacey Reiss, and Richard Shepard produced and the movie stars Allison Williams, Logan Browning, and Steven Weber. On top of all that, the film features music by Paul Haslinger, cinematography by Vanja Cernjul, and the whole thing was edited by David Dean. Na, da hat sich Netflix mal wieder nen interessanten Festival-Liebling gesichert. Ab dem 24. Mai ist er dort zu sehen.